It is a moon shrouded in mystery, magic and folklore, perhaps because it only appears once every 2.7 years. The very term “blue moon” is over 400 years old when Shakespeare first wrote the words “blue moon” to mean rare or absurd. The rarity of a full moon appearing twice in one month, or a third full moon appearing in an astronomical season with four full moons versus the normal three, must have inspired the great playwright to coin the term. The term ‘once in a blue Moon’ means that that something is very rare. But just how rare, depends on your definition. In astronomy, a Blue Moon is a full Moon, which doesn’t quite fit in with the months in our calendar. If the moon actually looks blue, it’s caused by a rare type of dust in the atmosphere. However, there are two completely different ways of calculating which full Moon is a Blue Moon. Blue Moon = The second full Moon in a month with two full Moons. In modern day terminology, the name Blue Moon accounts for times when there are more full moons than is ordinary. It is believed the name “blue” was used to replace the no-longer-understood belewe “to betray”. It would have been a “betrayer moon” because in normal years the third full moon meant the beginning of spring whereas a blue moon would have meant another month of fasting. In some cultures, the blue moon was considered the trickster moon. The faker, not the real full moon, but a mysterious doppelganger. In other cultures the blue moon was considered fortunate, something to celebrate, and a perfect time to start a long-term goal or make plans for the future. Occasionally you may see a moon that is colored blue. This is because of atmospheric conditions and has nothing to do with a “Blue Moon. Among the metaphysical or spiritual community a blue moon is a powerful moon. This is usually prime time for rituals ceremonies and protection. It’s also a good time to perform ceremonies to attract a new job, healings, love, legal undertakings, money and dreams. For those of you wanting to do something special for the Blue Moon I recommend you try the Burning Bowl Ceremony. See The Video Below. HEIGHTENED EMOTIONS: Right now the Moon is at its closest approach to Earth all Month. Can you feel it? Have you noticed you are picking on little things for no good reason, having very random thoughts or other people seem to be having a go at you? Be aware that we are being influenced by the cosmic weather. The SUN has also fired off M Class flares in the past 24 hours, which will hopefully miss Earth’s field in a couple of days. Whenever the surface of the SUN is flaring our own inner environment’s rise in awareness as we slough of the old ways in favor of the new and positive for our life. So if you are a little agitated right now, let it pass without lashing out at someone or something you will later feel sadness over. Stay in your own space over the next 24 hours and contemplate the bigger picture of your life. So if you are looking to improve your luck or to finish a long-term goal, don’t worry about the ancient superstitions! Instead, focus on this full moon as a lucky one and the beginning of a great new journey for yourself. A blue moon is rare and if you are finding yourself at a crossroads in life, now would be the perfect time to get spiritual advice to help you on your path. Visit my website to find out more about my special services. On January 30, we shall have a Super Moon. The moon will be at it’s closest to the Earth in its elliptical orbit. The moon will be compelling, at its largest and brightest. Tides will be high and for some, magic strong and blood pulsing. Think on moon madness and magic, old goddesses and night’s mysteries, for even as science tries to define, our very language defies, and renews wonder. Look up and wonder. Blue Moons carry with them special energy for magic, mayhem and manifestations. New Moons are a good time to pray for new starts and new beginnings. This Blue Moon in the sign of Aquarius which is an air sign and rules our minds and thoughts, innovations and inventions, computers and electronics, friends and enemies, and occult sciences and telepathy. January 31 is the Chinese New Year. This is the year of the Wood Horse. Horse symbolizes nobility, strength and grace in motion. Perhaps, Horse will bless us in 2014, with upward movement into a higher level of consciousness. Use the energy of this Electric Blue, Aquarian New Moon and the Chinese New Year of The Horse to set something new in motion; small or large, do something different, something provocative, something original, something fun! The second and more correct definition is a Blue Moon is the third moon of four in a season– a season being defined as the time period between a solstice and an equinox, or vice versa. Tuesday night’s moon will be a Blue Moon by the seasonal definition, that is, the second definition. This years winter season was between the June 2013 solstice and September equinox. The last seasonal Blue Moon happened on November 21, 2010. The term “once in a blue moon” mean something rare. Whenever the surface of the SUN is flaring our own inner environment’s rise in awareness as we slough of the old ways in favor of the new and positive for our life. So if you are a little agitated right now, let it pass without lashing out at someone or something you will later feel sadness over. Stay in your own space over the next 24 hours and contemplate the bigger picture of your life. Full Moon this week will bring you personal clarity. Have a great opening to your week! A Blue Moon will be present for all to see on Friday, August 31, 2012. Don’t miss this one, because you’ll not get another one for almost three years. The Moon will become a full moon at 9:58 a.m. Eastern Daylight Time (EDT), or 1358 Greenwich Mean Time (GMT) on August 31st. 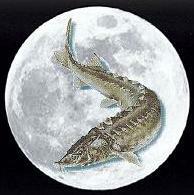 This “second full moon in one month”, or so called the Blue Moon, will not occur again until July 2015. Blue moons exist due to our calendar months being imperfectly synched to the lunar months. It takes 29.5 days for the moon to orbit Earth, during which sky watchers observe all of its phases. All calendar months, aside from February, have 30 or 31 days, resulting in the occasional two full moons within a single month. But, don’t be disappointed if you don’t actually see a “blue” colored Moon. The term Blue Moon is named so because it is relatively rare (on average just once every 2.7 years). That is, it’s only seen “once in a blue moon.” On average, about 27 Blue Moons occur in any given century. So far, in the twenty-first century, we’ve had five of them. However, what is rare is a bluish colored Blue Moon. It only occurs when something like a volcanic eruption or a forest fire causes the atmosphere to make the Moon appear to be a little bluish. Native Americans drew constellations, created star lore, and built structures in alignment with the sky long before Europeans arrived on American shores. Like other groups, they tracked the motions of the Sun to help them decide when to plant crops, move their camps, or stage sacred rituals. Their stories contained explanations of the constellations they saw as patterns of bright stars, meteor showers, the Northern Lights, and saw in what we call the Milky Way a pathway to the afterlife. Some tribes built great circles of stones to help them predict the changing seasons, or ceremonial sites and mounds of earth in alignment with the Sun and stars and to reflect the patterns they saw in the heavens. In any case, go outside and watch the Moon be Full and be a Blue Moon on Friday. This is a powerful time to say prayers for everyone. Hopefully you’ll have a clear night sky over your locality on Earth.